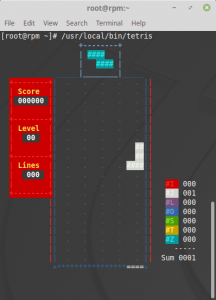 For my demonstration, I chose a simple ASCII-based Tetris game, written in C, and I made slight adjustments to ensure a relatively straightforward RPM build. 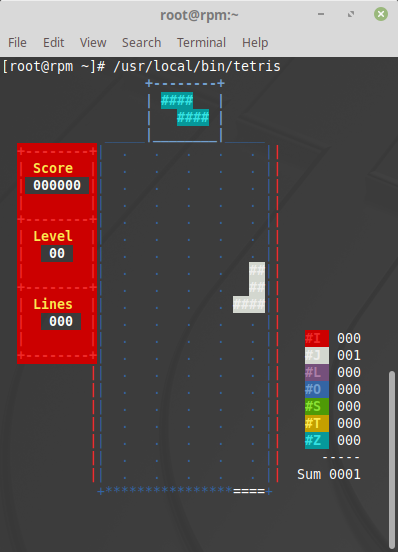 I will use a game called Vitetris as my example, which you can download. #INSTALL = install -oroot -groot # non-root users building the rpm won't be able to set this and the RPM build will fail. Once you have made this change, create a new gzipped tarball with the same name: vitetris-0.57.tar.gz. 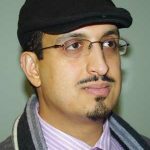 To install your development environment on a subscribed Red Hat Enterprise Linux (RHEL) 7 system, you need the following repositories to build your RPMs: rhel-7-server-rpms, rhel-7-server-extras-rpms, and rhel-7-server-optional-rpms. I use rpm* and gpg* because it makes the number of things to remember to install much more manageable. A large part of success with RPM packaging understanding the software you are working with. First, compiling software manually preferably is done as a non-root user. In this case, I am using the rpmbuilder user. 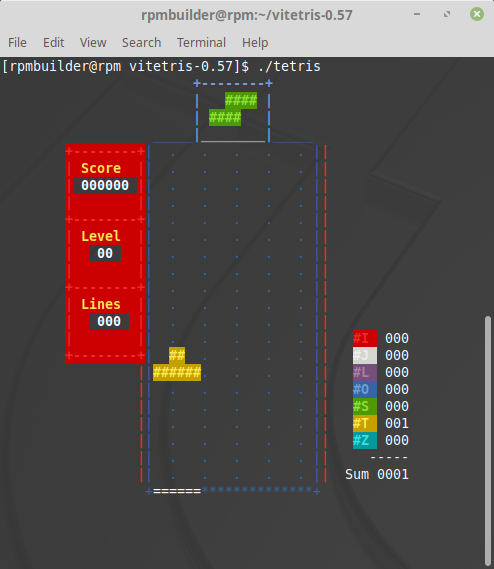 Start with extracting the gzipped tarball (vitetris-0.57.tar.gz), and then inspecting the README file. In this case, the README file doesn’t contain information about compiling your game from source code. As a general rule, open source software written in C is compiled with three steps: configure, make, and make install. However, it is worth just running make on its own to see whether the software will build. Signing your RPM package adds an extra layer of trust to your packages. 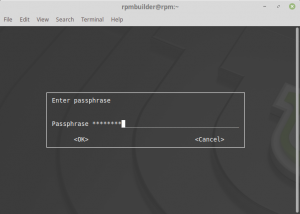 Therefore, to create GPG keys as the rpmbuilder user, you will need a session with root access to run rngd (to speed up the generation process) and a session with X11 forwarding as the rpmbuilder user. 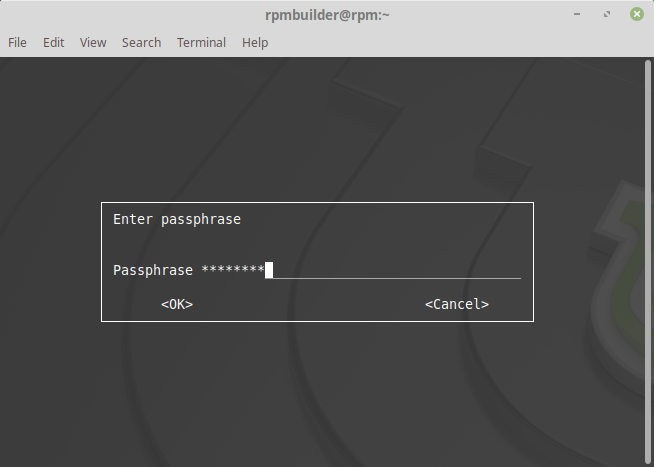 "RPM Build User (RPM Builder GPG Signing Key) <rpmbuilder@rpm>"
This prompt will only appear if you have X11 forwarding turned on. 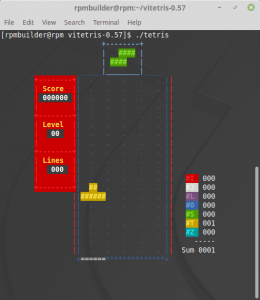 rpmbuild/SPECS/vitetris.spec created; type minimal, rpm version >= 4.11. Delete the Requires section, as this software doesn’t have any dependencies. Delete the %configure section, as this software can be built without configure (keep this if you need configure before you run make). Notice that %doc was put in front of the README to identify it as an informational document. The RPM will still build without this. Depending on the software you intend to package, custom RPM packaging can be challenging. In this article, I aimed to do as little as possible to demonstrate that default settings are often enough to build an RPM. To learn more, see Red Hat’s RPM packaging guide.